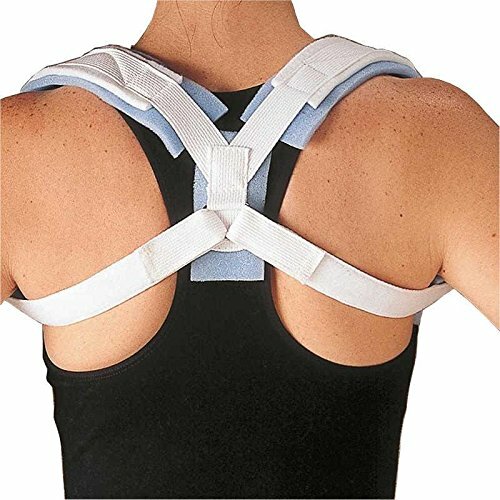 Rolyan 52863 Heavy Padd Clavicle Splint, Medium by Rolyan at Get Cheap Health Insurance. MPN: 52863. Hurry! Limited time offer. Offer valid only while supplies last. For over 40 years, Rolyan has been the therapist’s choice and most trusted brand when it comes to orthopedic supports and hand therapy tools. For over 40 years, Rolyan has been the therapist’s choice and most trusted brand when it comes to orthopedic supports and hand therapy tools. Rolyan products are designed with the patient and hand therapist in mind, and occupational therapists, physical therapists, nurses, and other healthcare professionals rely on Rolyan products to assist the elderly and those with disabilities. Rolyan products include therapeutic putty, overhead exercise devices, slings, rigid and soft orthopedic supports, wrist braces, therapeutic and thermoplastic splints, straps, fasteners, and range of motion products. These are the same high quality professional products used in hospitals, clinics, and nursing homes. If you have any questions about this product by Rolyan, contact us by completing and submitting the form below. If you are looking for a specif part number, please include it with your message.